Ever since my childhood, I was never a big fan of Horror Houses. I don't believe supernaturals exist but still the idea of it scares me a lot. That is why when I'm invited to enter Bahay Trese, I hesitated at first. But when I heard that it has a different concept, it captures my curosity. In the end, they managed to convince me to enter the cursed ancestral house. 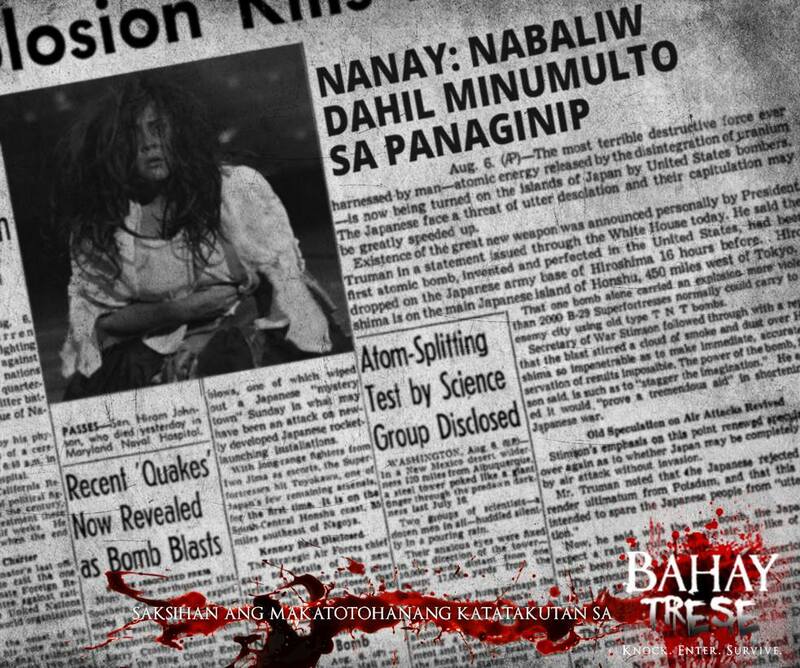 Worlds of Fun, Lightbulb Moments Entertainment and Philippine Educational Theater Association join forces to conceptualize this haunted attraction that aims to elevate haunted and horror house genre. So instead of having your typical haunted house, Bahay Trese is described as an interactive theater experience. Every room inside Bahay Trese tells the story of a family killed during the Japanese occupation. As you explore the house, you will see yourself immersed in carefully designed sets and excellent theater actors that can blur the lines between fiction and reality. The experience will definitely play with your imagination and fear. If you will ask me to compare it to other haunted attractions before, I honestly can't say because, I've been avoiding horror houses since forever. But if there is one thing that I believe is different is that the whole process runs through a story. Thus every acts you will see inside are not just random scary acts but more of a performance that depicts an specific story. No doubt, commisioning PETA is the best idea in this project. Being known as one of the best makers of great talent, the PETA certified actors who will scare you inside the house knows how to pluck your strings and scare the hell out of you. So how is the experience? Yes it is scary, it helps that we are at least 5 person in the room, if we are any lesser than that, I could have fainted inside. Also, as much as I want to pay attention for the narrative, I'm too scared to listen to what the characters are saying. The carefully lit rooms perfectly plays with the fear of the unknown where you will never know what will happen or where you will run next. Are you up to the challenge? 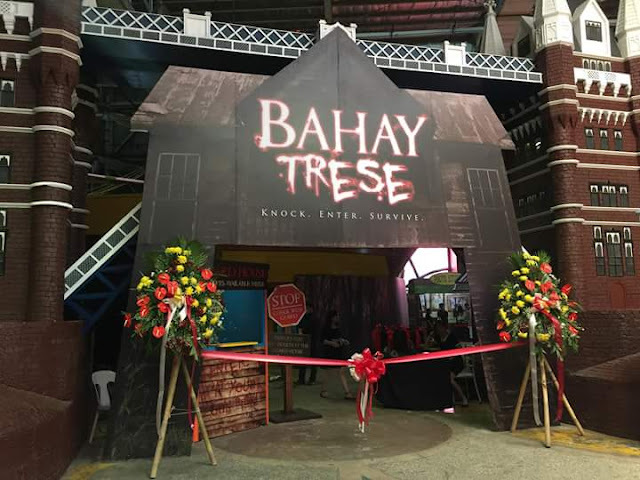 If you are looking for something thrilling this holiday season, Worlds of Fun is inviting you to enter Bahay Trese as they open their doors in public until January 2016. 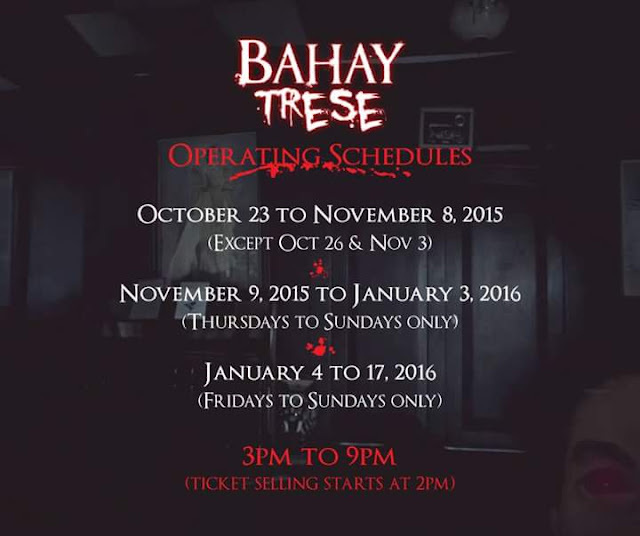 Bahay Trese is located at the Worlds of Fun, Sta. Lucia East Grand Mall in Cainta, Rizal. For more info go to www.bahaytrese.com.ph. 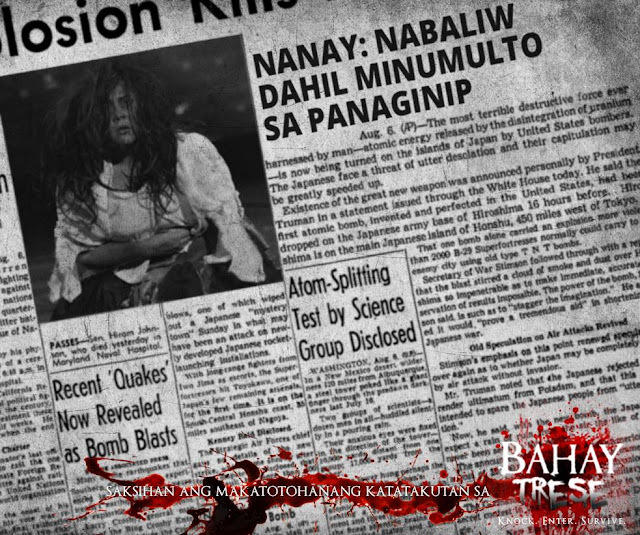 I dare you, enter Bahay Trese and Survive.